People often think of plants as a relatively static form of life. They are more passive and reactive to their environment as opposed to the more active and dynamic animals. Some people have trouble even thinking of plants as anything more than scenery. However, plant evolution and ecology is vibrant, dynamic and far more important to our own survival than people give it credit for. A fantastic example of just how dynamic a plant can be is the Mushroom Kingdom piranha plant. Carnivorous plants are not that unusual, at least five plant orders have independently evolved the ability to obtain nutrients from preying on animals. The piranha plant is a trap plant, using rapid leaf movement to contain and then digest small animals. It shares many attributes with the venus fly trap and probably shares a similar origin. Fly traps are covered in tiny alarm hairs that, when triggered, cause the leaves to snap shut over the unlucky insect that wandered over them. These hairs are in place to prevent the wasteful expenditure of energy on a false target. Plants can obtain nutrients from preying on animals, but they cannot obtain energy in this manner. Piranha plants and venus fly traps, like all plants, must obtain energy through photosynthesis. Plants evolve carnivorous traits when there is not enough nitrogen or phosphorous in the soil. The Mushroom Kingdom is, as you may guess, full of mushrooms. Even the “grasslands” seem to mostly be made up of mosses and lichens that cover the various rocky platforms and bricks as opposed to true grass. The soil is incredibly poor and fungi draw out almost all the nutrients available. Those plants that did not evolve the ability to draw nutrients from animals, such as fire flowers, had to instead contend with growing exclusively in the nutrient rich Question Mark boxes. Its no wonder that the dominant plant species in the region had to come up with an alternative source of nutrients. The “teeth” of a piranha plant or venus fly trap are in fact just thorny outgrowths that help trap prey. As the prey struggles, the “teeth” are locked together sealing the prey in. Once the prey is completely trapped the leaves become a “stomach” and begin secreting enzymes that allow the plant to digest its prey. Piranha plants can grow remarkably large, so they are not restricted to hunting insects. However, piranha plants also seem to be incredibly inefficient hunters, snapping wastefully at anything that passes by no matter how out of reach it may be. How does the piranha plant survive when it is so inefficient at capturing prey? It is possible that trapping prey is not the primary reason for this “snapping” behavior. Piranha plants may be snapping as a method of discouraging grazing animals. But what, exactly, are the piranha plants trying to protect from potential grazers? To answer this question we must first examine how the piranha plant is able to detect prey so efficiently. Under the surface of the mushroom kingdom is a vast network of roots. These root systems are the main body of a piranha plant colony. 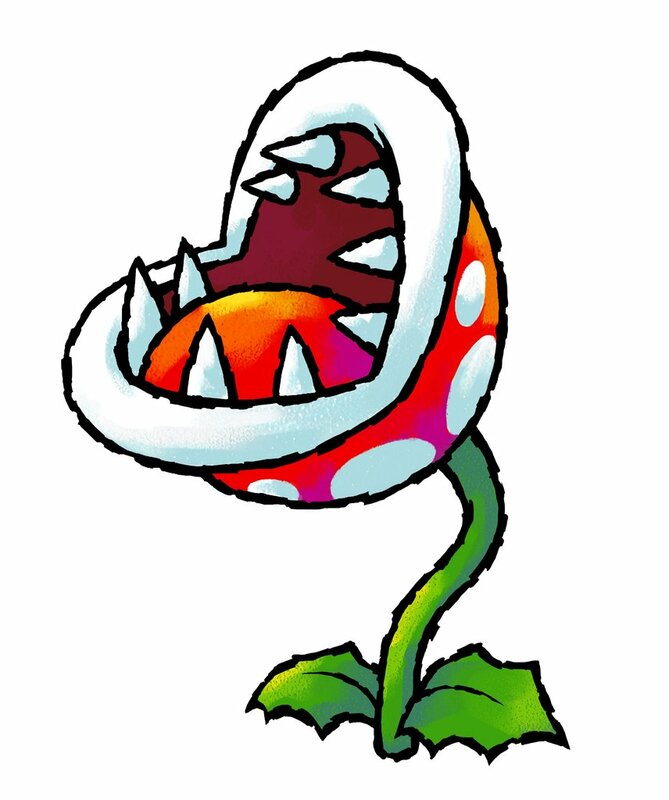 Piranha plant “blossoms” are clones of the original that bud off this root system. This system of creating “clone colonies” is found in many plants today, most notably the aspen trees of North America and Europe. 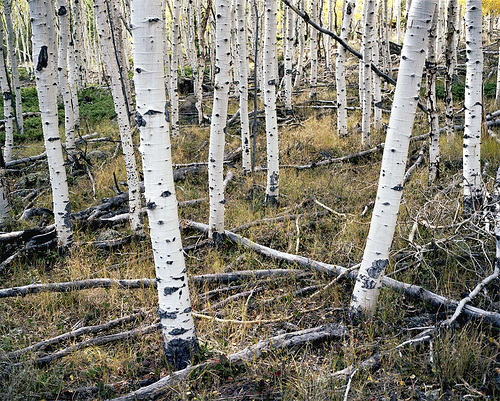 Aspen colonies can cover huge stretches of land, and allow the transference of nutrients from one tree to another. These colonies are also incredibly resilient, as long as part of the root system remains intact it can regrow entirely. This allows aspen colonies to remain dormant underneath evergreen forests for hundreds of years at a time until a forest fire clears the competition out and allows them to overtake the forest. Piranha plant colonies are equally resilient, able to regrow its carnivorous sections even after they are burned away by a Fire Mario. The poor soil quality of the Mushroom Kingdom leaves much of the land brick-like. The roots of the piranha plant have uniquely adapted to this by growing to fill in whatever gaps are available. This allows them to feel animals walking along the ground above and sense what is around them. The success of the piranha plant may also have altered the environment of the Mushroom Kingdom. The massive cave complexes underneath the surface may remain in place because the piranha plant roots keep the loose, bricky soil from collapsing. While most toads would consider the plants a pest, they are also necessary to keep their environment together behind the scenes. Next to inexperienced Marios, toads are perhaps the most likely creatures to be caught and devoured by a piranha plant. The toads rely on the piranha plants to keep the environment safe for building, and the piranha plants rely on the toads’ civilization to produce prey which help them continue to thrive in the barren land. By observing the root systems we can also find out just where piranha plants grow from. The commonly seen “berries” are in fact young piranha plant buds. Given time, these berries will split open and form the snapping traps of a mature piranha plant. These berries are incredibly rich in nutrients, and so are a major food source for animals such as yoshis. 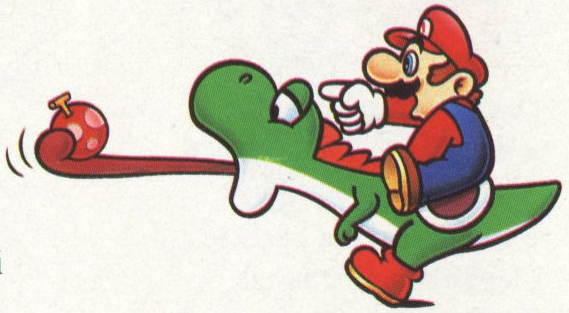 The snapping behavior of the larger piranha plants is designed to discourage yoshi predation. The cost of snapping constantly when herbivores approach is worth protecting future buds, and is offset whenever a yoshi or mario risks getting too close and is digested. There are other species of piranha plant that do not grow from clonal colonies and instead are much more mobile. Much in the manner of the walking palm (Socratea exorrhiza), these piranha plants are able to grow their roots out and let the old ones die at such a fast rate that they appear to be moving. Some, such as the nipper plant and jumping piranha plant, are able to use the same rapid leaf movement that their trap leaves use in order to push their bodies off the ground and propel them forwards. As you can imagine, this takes an enormous amount of energy to do, and so these plants must actively hunt for prey. They are also significantly smaller. Mobile piranha plants the size of the clonal colony variety are extremely rare. Some of these more mobile piranha plants have evolved an ingenious way of conserving energy. 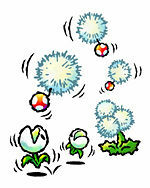 Young piranha plant bulbs are attached to a thin, wisp-like ball which allows them to be carried by the wind and deposited in new areas. This allows the plants to disperse throughout a wide range and give their offspring a better chance of finding prey. To aid in finding prey, these mobile plants have small photo-receptive spots that serve as extremely simple “eyes”. The idea of mobile, active plants that hunt may confuse some readers not versed in the ways of botany. Doesn’t active hunting imply intent? Surely a plant cannot be expected to have intelligence or intention in its actions! The shocking truth is that many plants show examples of “intelligent” behavior. Tobacco plants have been shown to be capable of memory and basic “learning”. Strawberries and clover will send messages to each other when attacked by insects and in response produce chemicals which make themselves taste worse . Acacia trees send complex chemical messages to trees downwind to warn them of giraffes, and when trees receive these messages they begin producing poison in their leaves to discourage giraffes from eating them. Plants do not have neurons, but neurons are not required to process and store information. Even in animals (including us) there is information that is processed and stored outside of the brain. In a tortured metaphor kind of way, plants use their entire body as a brain. Think of brains as not being a requirement for “intelligence” per say, but rather as a tool for making it infinitely more efficient. None of this is not to imply that plants are capable of intelligence or intention equal to animals, just that their behavior is more complex than given credit for and as such a more active and evolved plant like the piranha plant being capable of hunting behavior is certainly not impossible. Plants are not inanimate objects, but dynamic living things just as capable of interacting with and affecting their environment as we are. This entry was posted in Ecology of the Mushroom Kingdom and tagged Botany, Ecology, Ethnobotany, Evolution, Mario, Nintendo. Bookmark the permalink. Given this evident paucity of plant nutrient availability, it seems we must also conclude that none of the fungi of the Mushroom Kingdom are mycorrhizal. This could be explained if the mobile forms of piranha plant are actually ancestral to this group: the fungal symbioses so common for nutrient acquisition in other plants would never have been maintained in their easily-broken-off roots, and the molecular pathways might have been mutated into uselessness by the time a more sedentary lifestyle evolved. Perhaps a future post could address the source of carbon for the Mushroom Kingdom’s highly successful fungi.